Successfully saved Crunchy Cabbage Coleslaw with Sesame Miso Dressing to your Calendar. You can also save the ingredients to your Grocery List. 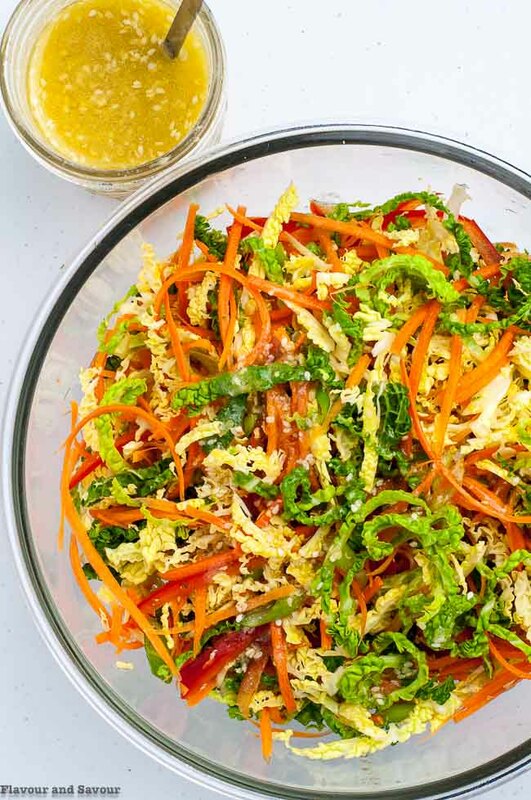 This fresh Crunchy Cabbage Coleslaw with Sesame Miso Dressing is not your everyday coleslaw! Enhanced with umami flavours, this mayo-free coleslaw is a quick and healthy side dish.